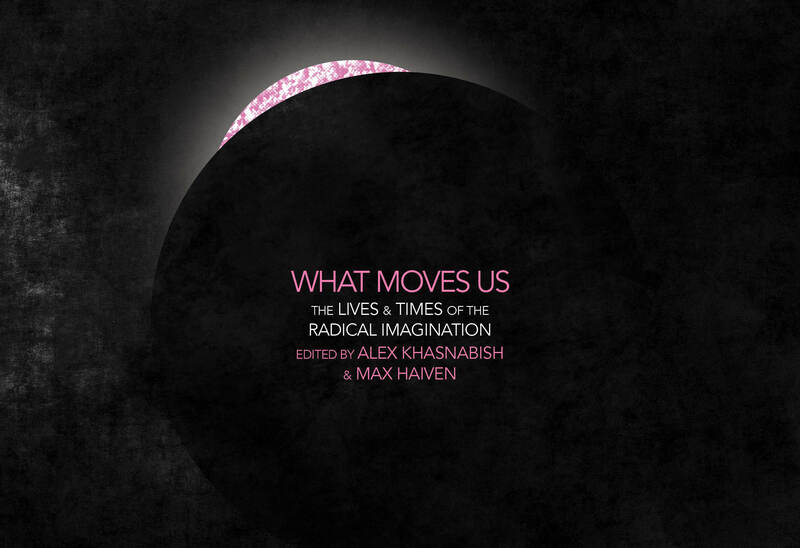 We wrote The Radical Imagination: Social Movement Research in the Age of Austerity in order to bring clarity and sharpness to the idea of the radical imagination as it operates in and animates social movements in a time of crisis. If ever there has been a time for a careful examination of what the radical imagination is, how it works, and how it might be conjured, it is certainly now. As the global capitalist economy stutters, and as new far-right fundamentalist and fascistic movements coopt, corrupt, and capitalize on people’s legitimate anger and frustration, it is (as Henry Giroux illustrates) imperative that we approach the imagination as more than just an individualistic mental playground. The alchemy of revolution is complex, and we do not possess any magical formula, but it is clear that grotesque oppression, corruption and exploitation do not, on their own, react and create new possibilities and opportunities. Concerted agitation and strong social movements are needed to transform crisis into potential. And beyond smart strategies, robust organization and the ability to seize on opportunities, movements also need to respect and think about feelings (of outrage, love, desperation, and possibility), visions (of how things might be otherwise), and conviction (in the existence of hope and alternatives). But it is not enough to simply invoke these amorphous concepts. We will only know if they are worth anything if we analyze and mobilize them in ways that go beyond hollow sloganeering and feel-good rhetoric. This is the promise of militant research: we can focus our attention not only on the forces that impinge on social movements, but the dynamics within movements. We believe social movement research can be about more than just understanding movements, it can also be about catalyzing them and creating otherwise rare spaces for growth and resilience. Research—and here we do not mean the conventional dry, detached and objectifying research of the neoliberal academy—can be a vehicle not just to better understand the radical imagination, but also to convoke it, to create intentional and unique moments when it can manifest and transform. Research can be a form of movement therapy, but not one that is simply optimistic affirmation and delighted celebration. Research can help us reproduce our movements otherwise. At its most superficial, the radical imagination is the ability to imagine the world, life, and social institutions not as they are but as they might otherwise be. It is the courage and the intelligence to recognize that the world can and should be changed. The radical imagination is not just about dreaming of different futures. It’s about bringing those possibilities back from the future to work on the present, to inspire action and new forms of solidarity today. Likewise, the radical imagination is about drawing on the past, telling different stories about how the world came to be the way it is, remembering the power and importance of yesterday’s struggles, and honouring the way they live on in the present. The radical imagination is about imagining the present differently too. It represents our capacity to imagine and make common cause with the experiences of other people, it undergirds our capacity to build solidarity across boundaries and borders, real or imagined. In that sense, it is the basis of solidarity and the struggle against oppression, vital pieces in the building of robust, resilient, and powerful movements. Without the radical imagination, we are left only with the residual dreams of the powerful and, for the vast majority, they are not experienced as dreams but as nightmares of insecurity, precarity, violence, and hopelessness. Without the radical imagination, we are lost. We approach the radical imagination not as a thing that individuals possess in greater or lesser quantities but as a collective process, something that groups do and do together. We understand the imagination as our capacity to think about those things we do not or cannot directly experience, but it is also the filter or the frame through which we interpret our own experiences. For this reason, the imagination is an intimate part of how we empathize with others, the way we gain some sense of the forces that impact our lives, and the way we project ourselves into the future and gain inspiration and direction from the past. Yet contrary to many applications of the idea, we understand the imagination as much more than the “private property” of the individual mind. Through shared experiences, languages, stories, ideas, art, and theory we share our imagination, in part. Collaborating with those around us, we create multiple, overlapping, contradictory, and coexistent imaginary landscapes, horizons of common possibility and shared understanding. These shared landscapes are shaped by and also shape the imaginations and the actions of those individuals who participate in them. 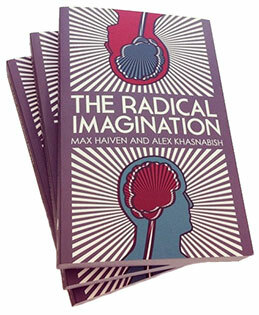 The notion of the “radical imagination” relies on a second term. The concept of the “radical” inherits its most powerful meaning from the Latin radices– “rooted”– in the sense that radical ideas, ideologies, or perspectives are informed by the understanding that social, political, economic, and cultural problems are outcomes of deeply rooted and systemic antagonisms, contradictions, power imbalances, and forms of oppression and exploitation. As a result, radicalism does not so much describe a certain set of tactics, strategies, or beliefs. Rather, it speaks to a general understanding that even if the system as a whole can be changed through gradual institutional reforms, those reforms must be based on and aimed at a transformation of the fundamental qualities and tenets of the system itself. The idea of radicalism cannot be monopolized by any one point on the political spectrum: fundamentalists, far-right militias, neoconservative pundits, and others also display elements of radicalism as much as (sometimes more than) the anarchist organizers, anti-racist activists, feminist campaigners, or independent journalists, academics, and writers who make up the cast of characters of our book. In this sense, we, like philosopher Cornelius Castoriadis, understand the radical imagination as that tectonic, protean substance out of which all social institutions and identities are forged, and which, likewise, is constantly in motion under the surface of society, undermining and challenging all that we take to be real, hard, fast, and eternal. Likening the radical imagination to magma, that volcanic substance between liquid and solid, Castoriadis suggests that seemingly permanent social forms (from the institution of marriage to the form of the state, from the value of money to the concept of the nation) are really temporary solidifications of the (shared) imagination. After all, these all-too-powerful formations are, ultimately, imaginary ideas given (often catastrophically) real power by the way they influence our social actions. But that very substance out of which they are wrought also erodes their foundations: the radical imagination is also that force within us as individuals and collectives that resists the present order, that, to paraphrase John Holloway, screams “no!” and refuses to be forever conscripted. But as Nira Yuval-Davis and Marcel Stoezler caution us, the radical imagination is no one universal thing. Rather, it is shaped by our experience as embodied subjects intersected by race, class, gender, sexuality, nationality, ethnicity, and other forms of difference. The goal cannot be some sort of universalized ideal of a shared imagination, but rather must be based on the transversality and the unending work of building meaningful solidarity, not as an ideal, but as an embodied practice. Indeed, as Justin Paulson notes, on a phenomenological level the imagination is the product of difference: it is sparked and grows when we encounter the unexpected, the foreign, the new. For this reason, we stress that the radical imagination emerges most profoundly and vitally from the experience of exploitation and oppression and, as Robin D. G. Kelley illustrates in his study of the Black radical imagination in the history of the United States left, usually those who are the most subjugated are able to see the most clearly the limits of the reigning order, and provoke the most radical reconsideration of what was, what is and what might yet be. Based on this approach, we understand social movements are convocations of the radical imagination: they are convened – called into being – by individuals who share some understanding of the world in a radical sense. That is, they see the problems confronting us as deeply rooted in social institutions and systems of power and, importantly, they believe these institutions and systems can and should be changed. While social movements may be many things and take many forms, we suggest that at least one dimension that binds them together is the (sometimes intentionally, sometimes incidental) cultivation of common imaginary landscapes, something which is an active process, not a steady state. It is, as Eric Selbin argues, about how we weave narratives of resistance together, and how those narratives, in turn, weave our relationships and identities anew. So we can say that social movements are animated by the radical imagination. This is not to say that all members share identical imaginary landscapes; the driving dynamic of social movements are the tensions and conflicts and dialogues between imaginative actors. The radical imagination is no static thing to be studied under the microscope or measured through quantitative analysis. It must be observed as it “sparks” from the friction between individuals, groups, ideas, strategies, and tactics. For this reason, social movement researchers should not satisfy themselves with merely observing and reporting on the radical imagination at play in social movements. Rather, as we argue, they should seek to convoke it. That is, researchers can see themselves, their research, and their writing as intimate parts of the way social movements reproduce themselves. Rather than shy away from having an impact or disturbing movement equilibrium, social movement researchers, in highly reflexive, responsive, and responsible ways, should see themselves as part of the play of the radical imagination. It is this possibility that is the subject of our book. We characterize the condition of social movements as caught between two (or more) spheres of “reproduction.” Borrowing a term from Marxist feminist analysis, reproduction here means more than the biological business of bearing and raising children. Rather, it speaks to the way social life is reproduced more broadly, and the way capitalism itself is reproduced through a pattern of endless crisis. We understand social movements and the radical imagination as caught in a contradiction. On the one hand, social movements inherently envision and seek to bring about a fundamental change in the way society is reproduced. In other words, whether they seek to change government policy, institutional and organizational systems, or cultural norms, movements do not want society to be reproduced in its current form. This is especially, but not exclusively, the case for radical social movements that see the problems they face as deeply rooted in the social order, and recognize that a radical change to that order is necessary if these problems are to be solved. On the other hand, however, whether intentionally or not, social movements also become spheres of alternative social reproduction for their participants. As Chris Dixon illustrates in his new study of North American social movements in the past few decades, they become spaces of identity formation, friendship, meaning, care, and possibility, though they are never unproblematic utopias (far from it). They often seek to create, within their organizational form or norms, a paradigmatic alternative to the society they seek to change, a tendency that has become much more conscious and common since the 1960s with the rise of “new social movements” and especially so since the “anarchist turn” in the 1990s. We pay attention to this tension because, to a very real extent, the crisis of social reproduction in global capitalist society is intensifying on at least three fronts. First, the ramping-up of neoliberalism in the form of an unapologetic and vicious austerity regime has seen the further subjugation of governments to the will of capital and the evisceration of what remained of the welfare state. 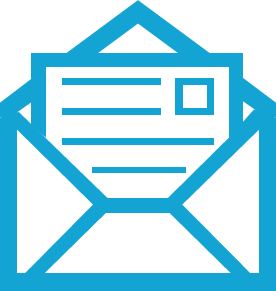 As government services (health, education, transportation, regulatory bodies, corporate oversight, etc.) are slashed or privatized, society becomes ever more individualized and financialized, with increasingly isolated individuals left to fend for themselves against the vicissitudes of the market. Second, the “War on Terror” continues to justify the amplification of repression, surveillance, war, and policing around the world, as well as fortifying a culture of fear backed by racist fantasies and neocolonial ambitions. The permanent state of exception proclaimed in the aftermath of 9/11 serves as indefinite pretext for interventions–spectacular and mundane–whose goal is never resolution of conflict but control of territory, resources, and social life in the interests of capital and its agents. Third, the deepening ecological crisis, notably the increasing toxicity of the environment and the climate chaos unleashed by global warming, threatens to set loose yet unimagined terrors on the world’s populations, terrors that will likely be suffered and endured alone as governments and communities continue to be dismantled and capitalist impunity is enshrined. In these times, when the majority of us live increasingly isolated lives, social movements are not merely important as vehicles for utterly necessary social change. They become islands of refuge in an uncaring world. On the one hand, in their organizational forms and group norms, they often strive to “prefigure” the world we might like to see, one that values individuality and communality, radical democracy and solidarity, equality and acceptance, passion and reason, hope and love. They often serve as spaces of friendship, community, romance, and empowerment. This is true even of those more severe and formal organizations and groups that intentionally disavow their social dimensions. If the radical imagination is something we do together, then we cannot dismiss social movements’ capacity to foster alternative spaces of social reproduction. The building of rich relationships and pluralistic organizational forms is an important part of struggling to overcome the crisis of social reproduction, under which we all labour. Yet at the same time, we and others have observed that movements and activists all too often fall prey to the crises of reproduction within their own organizations and movements. Sometimes this manifests as open conflicts over strategy and tactics. Other times (indeed, we’d suggest, usually) it manifests–at least on the surface–as personality conflicts or social tensions. Frequently, both of these are the result of the way the movement or group in question continues to reproduce the oppressive behaviours or patterns it has inherited from the society of which it is a part, notably tensions regarding masculinist behaviour, sexual politics and the continued devaluation of people of colour and other marginalized peoples. And so, borrowing a term from the Edu-Factory Collective, we want to identify contemporary social movements as sites of a “double crisis.” On the one hand, they exist within a society in the paroxysms of a massive, universal crisis of reproduction which, while differentially experienced by people depending on race, class, gender, sexuality, citizenship, (dis)ability and other axes of oppression, is borne by everyone. On the other hand, movements themselves contend with a crisis of reproduction with respect to their own forms, organizations, and milieus. This double crisis is the context of the radical imagination today. As Stefano Harney and Fred Moten explain, research is a term monopolized by the academy which presumes to hold the exclusive rights to the process through its disciplinary architecture. But these authors rightly point out that research and rigorous inquiry–study–is an intimate part of everyday life, and especially an important part of life as it is experienced through struggles against systemic power. Both as individuals and collectives, we are constantly gathering information, collectively processing it, and using the results of inquiry to form agendas for action. For Moten and Harney, the university is an artificial and historically particular institution that devalues certain forms of research (the everyday sort) and exalts others (the highly disciplined, academic sort). Paradoxically, it is also a space of possibility, animated by the activity of what Moten and Harney call the “undercommons,” that network of radical alliances and solidarities that undergird academe, those insiders and outsiders who, against the tide of elitism, enclosure, privatization, commercialization, and disciplinary pressure, seek to mobilize the unique historical location and material power of the university to imagine and build a world beyond the present order. In this spirit, we want to imagine a form of social movement research that is not primarily about the generation of academic capital: that is those forms of publication and information management that are valued by the powers-that-be and are the currency for entrance to their ranks. This is in stark contrast to the origins of social movement studies in the pathologization of popular resistance and social change struggles. It also renounces two current trends in social movement research. The first is the translation of social movements and their social change struggles into unintelligible academic jargon, so often the currency of elite publication and disciplinary accolades and whose ultimate material benefit (jobs, tenure, promotions, etc.) accrue exclusively to the researcher. The second is the operationalization and even weaponization of social movement research at the behest and in the interests of currently dominant institutions, interests, and actors. After all, socio-cultural knowledge about the enemy has always been seen as central to counter-insurgency operations. While the threats presented by the second trend to struggles for social justice are obvious, the consequences of the first are no less significant. At its worst, research in pursuit of academic capital represents an enclosure of common social movement knowledge: the movement in question does the hard work of reproducing itself based on its own internal processes of imagining and reflecting; the researcher swoops in, applies a disciplinary lens, collects data, and takes what they need to generate new grist for the academic mill, and leaves. We liken this process to enclosure to draw a parallel between the animus of academe and the modus operandi of capital. The idea of the enclosure draws on the history of what Marx called “primitive accumulation,” the initial stage of capitalist exploitation which, between the 1500s and the 1800s, saw the Western European ruling class systematically strip the peasantry of their common lands and property through a combination of legal, economic, and military manoeuvres. This process continues, in new forms,to this day. We can understand the practice of conventional academic social movement research as part of this trajectory of enclosure. While researchers may believe they are simply observing and recording the facts about a given social movement, they are, in our opinion, often gaining the benefit of the research process that movements are always-already conducting. This everyday research takes the form of a constant experimentation and reflexive refinement of political ambitions, organizational norms, forms of democracy, institutional structures, and social reproduction. While movements don’t typically call this common work “research,” we hold that thinking about it as such is crucial because it allows us to see movements not only as vehicles for resistance but as spaces of prefiguration, driven by rarely formalized or disciplined but nonetheless vital inquiries into and experiments in reproducing and reimagining social life otherwise. Harsha Walia’s phenomenal book Undoing Border Imperialism provides a vivid example of the incredible research and theorization social movements produce and depend on as they build power and resilience. And Marina Sitrin and Dario Azzellini have likewise illustrated the incredible theoretical and practical innovations of social movements within and against the current age of austerity. Such an expanded view of social movement research also allows us to reconceive of the radical imagination not as a realm of escapist fantasy or the exalted quality of singularly gifted individuals, but as the animating spark of powerful social movements that emerges from our common work of envisioning and seeking to change the world together. All this has powerful implications for the ways we develop and enact social movement research strategies. In an attempt to think through the implications of the radical imagination and the double crisis of movement reproduction, we wanted to experiment with a different research strategy, one we call “convocation.” To convoke is to call together, and with this idea in mind, we wanted to imagine a form of research that would seek to awaken, sharpen, and enliven movements’ inherent capacities for research in the broader sense that Harney and Moten intimate: a process of critical self-reflection, of locating oneself and one’s struggles within the multiple intersections of power, resistance, and transformation. A strategy of convocation neither makes an academic fetish of social movements, nor does it throw away the strange, unjust, and problematic privilege of the academic researcher. Rather, it seeks to mobilize our historic circumstances and contingent privileges to provide for movements something that they, all too often, tend to bypass or take for granted. We wanted to leverage our position as researchers to create new spaces of dialogue, debate, reflection, questioning, and exploration. In other words, we wanted to imagine and experiment with what “prefigurative” research might look like, a form of research borrowed from a post-revolutionary future of which we can only catch glimpses. We wanted to imagine a form of common research, beyond enclosure.